In Jacksonville, a runaway car careened off several interstate barriers before it hit an oncoming vehicle. The car crash occurred on Interstate 295 near the New Kings Road intersection. According to police and witnesses, 33-year-old Antuan Shaw was northbound on I-295 in a Nissan Sentra. For unknown reasons, he lost control of his vehicle. The Sentra eventually smashed into Antonio Christopher’s vehicle. The impact killed Mr. Shaw and sent Mr. Christopher to the hospital with serious injuries. Neither driver was wearing a seat belt. What Causes Loss of Control Car Wrecks in Tampa? Unpredictable loss-of-control crashes often cause incredibly serious injuries to both other drivers and pedestrians. When a 4,000-plus pound vehicle careens around the road, the results are often tragic. Excessive speed often causes loss-of-control collisions, particularly if the road winds. Many times, a speeding driver oversteers into a curve. 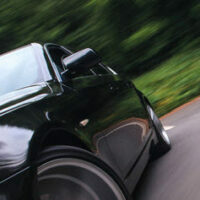 Fast-moving vehicles are more responsive to steering changes than slow-moving vehicles. Then, the tortfeasor (negligent driver) overcorrects. That overcorrection causes loss of control. Sometimes, a combination of speed and adverse weather is responsible. When the road is wet, tires do not grip the surface. Instead, the vehicle essentially floats on a thin layer of water. If the driver does two things at once, like speed up and change lanes, a loss of control is almost inevitable. Normally, Florida officials may suspend a driver’s license if the driver has one or more of these conditions. However, many people ignore the suspension, if imposed, and keep driving anyway. Damages in a Florida car wreck case usually include compensation for economic losses, such as medical bills, and noneconomic losses, such as pain and suffering. Additional punitive damages may be available as well. That’s especially true with regard to medical episode crashes. These people know they should not drive, yet they do so anyway and knowingly put other people at risk. Like almost all other states, Florida has a mandatory seat belt law. The Sunshine State’s seat belt law is a bit more limited than it is in other jurisdictions. The law does not apply to every occupant in every car. Nevertheless, Florida courts recognize and apply the seat belt defense in car crash cases. If the victim was not properly restrained, the judge may reduce the amount of compensation the victim receives. That may be true even if the seat belt was not working properly at the time of the crash or if the victim was not using it properly (e.g. an incorrectly-secured car seat). However, for the defense to apply, insurance company lawyers must do more than introduce safety statistics. An expert must testify that the victim was not properly restrained and the lack of restraint caused or contributed to the victim’s injuries. Loss of control crashes often raise complex legal issues. For a free consultation with an experienced Tampa car accident attorney, contact The Matassini Law Firm, P.A. We do not charge upfront legal fees in these matters. Home and hospital visits are available.